Extremely spacious, very well built and cooks beautifully. 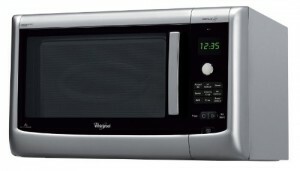 An incredible array of functions make this microwave very versatile, and offering superb value. None - it's an all in one cooking machine, and one which we simply can't criticise! Looking for that large combi microwave? The Whirlpool FT381SL could be ideal for your needs, offering a huge 28 litre interior with a 1000w power output. As you'd expect from a manufacturer like Whirlpool, it is built like a tank - with the body, door and controls all feeling very solid and hard wearing. The Family Chef weighs just 22.3kg, which isn't too bad considering the build quality. Overall it measures 33.3cm by 54.8cm by 53.3cm and the 32.5cm turntable should be spacious enough for the majority of dishes - it fitted all of the ones we tried. So how does it perform? The FT381SL comes with a plethora of functions (check the Feature list below!) yet the controls were intuitive to operate. Each mode worked well, from the exceptional jet defrost system to the powerful grill, we simply couldn't fault this combination microwave. 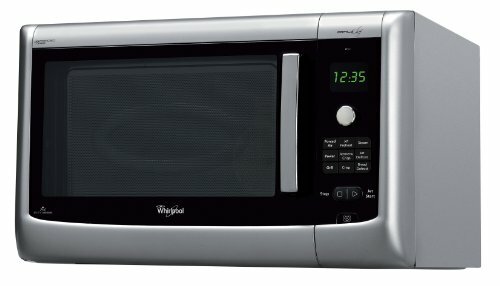 Over the extensive testing period, our group found the Whirlpool FT381SL to be one of the best microwaves we've ever had the pleasure of testing. It was consistently reliable, worked without complaint, and produced some beautiful tasting food. 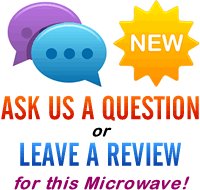 If you're contemplating a new microwave, then we'd recommend this model - it won't let you down! If you're looking for the ultimate all in one microwave, which is large enough for all sized families, yet versatile and reliable enough to replace your regular oven, then the Whirlpool FT381SL is it. It operates flawlessly, is exceptionally well manufactured and designed, and simply won't disappoint you. Strongly recommended to our readers! Jet Defrost system for easy defrosting of food.